A rose is a rose? Not exactly. 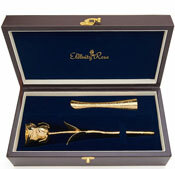 From our awesome Eternity Rose to a trip to the florist, your Valentine's rose means something. Here's what it is. William Shakespeare wrote those words over 400 years ago in his play "Romeo and Juliet." The rose has been a symbol of love, devotion, romance, and beauty for centuries, and a Valentine's rose is just about the most sincere romantic symbol you can give to the person you love. But all roses are not created equal. They come in a variety of colors, each symbolizing something different. What's the meaning behind those beautiful different colors of roses that you've been eyeing in the florist shop window? 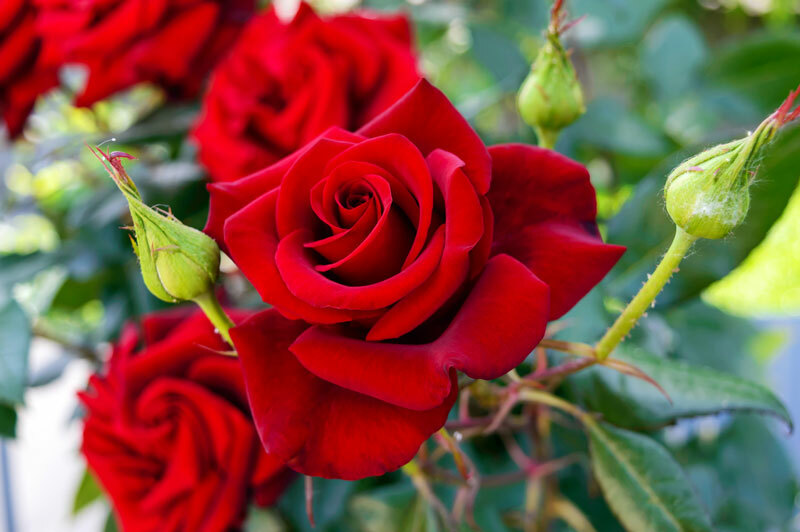 If you've ever wondered about the true meaning behind your Valentine's rose, then keep reading to find out! How Many Roses Should You Get? Believe it or not, even the amount of roses you buy can have a specific connotation, regardless of color. A single rose of any color is an expression of utmost devotion. It's simple and direct, very clearly saying, "I love you. Two roses entwined together are only to be given if your intent is to ask for her hand in marriage, as the two entwined flowers represent the unity of lovers in matrimony. 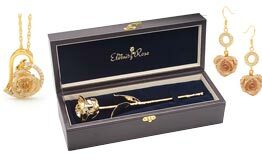 Eleven roses signify to the recipient that they are truly and deeply loved. Thirteen roses signify that the recipient has a secret admirer. If you're picking out roses for your wife or significant other, stick with a single rose, or a bouquet of eleven to express your deep love and devotion for them. What is the Meaning Behind Your Valentine's Rose? Red roses are the most traditional Valentine's rose to give to your wife or significant other. The normal red rose symbolizes love, beauty, courage, respect, romance, sincerity, and passion. A dark red rose takes it one step further to symbolize unconscious beauty. So if what you're trying to tell her is that she's beautiful even if she doesn't know it, look for a deep dark red rose. Burgundy roses also represent unconscious beauty, so a combination of the different shades of red is hard to beat as a romantic gesture of your love. 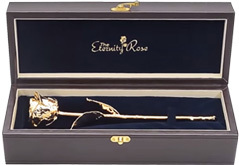 If you want to ensure that your wife or significant other knows that your love for her is eternal, then you might want to look into getting a red Eternity Rose, which is a real rose that has been perfectly preserved to last a lifetime, glazed to enhance its natural color, and trimmed with 24 karat gold. A yellow rose is also a very meaningful gift for a loved one or a friend. 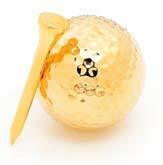 It symbolizes joy, gladness, friendship, delight, new beginnings, and treasured memories. If your yellow roses have red tips on the petals, it represents friendship or the message that you are falling in love. These can be a very romantic gift for early in a relationship if your feelings are already very strong for each other. Orange roses have a resemblance to flames, both in color and shape, so it's no wonder that they symbolize desire, enthusiasm, and fascination. These are great for long-term partners when you want to express that you find them absolutely irresistible. Coral color roses are also a symbol of desire, so if you really want to get your point across, a combination of orange and coral roses should achieve this quite nicely. White roses are often used as bridal flowers in weddings, and they have the same symbolism as the white of a bride's dress. They represent purity, innocence, reverence, humility, and youthfulness. While black roses do have a certain beauty to them, they don't actually grow naturally. They have to be created or colored artificially by a florist. As you might have guessed, they symbolize death and farewell. For this reason, it's not generally a very romantic idea to give your loved one black roses unless she has an overtly dark side and enjoys gothic romance. Every woman is unique and different, but black roses are not the traditional symbol of romance. Peach roses symbolize appreciation, sincerity, and gratitude. These are particularly great for brand new relationships, or if you want to send the message, "Let's get together!" Pale peach roses represent modesty and humility, and can send the message that you are humbly grateful to have her in your life. Lavender roses represent love at first sight and enchantment. These can be a romantic gesture if you're trying to win someone over, or if the relationship is new, but deeply profound. Like black roses, blue roses do not grow in nature and have to be dyed artificially. Also like black roses, they have a very specific meaning that isn't traditionally romantic. They represent the unattainable and impossible, partly because scientists have never been able to genetically engineer a blue rose. 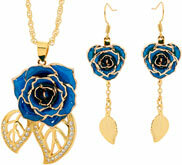 In art and literature, blue roses have been portrayed as symbols of love, prosperity, or immortality. Giving your loved one a pink Valentine's rose can be just as romantic as a red rose, because they represent appreciation, grace, perfect happiness, admiration, gentleness, and trust. Dark pink roses are more suited to being "thank you" flowers as they specifically symbolize gratitude and appreciation. Whereas light pink roses are the more romantic option, representing admiration, joy, sweetness, grace, and sometimes sympathy. No matter what color or combination of color roses you end up deciding to get for the person you care about, the traditional symbolism behind it doesn't mean as much as the spirit in which it is given. A Valentine's rose or bouquet of roses is a sign that you care about the person you're giving them to, and that they are on your mind even when you're not together. And that's all a woman really wants to know from you. That you care. Choosing the right color rose is a matter of what the deeper meaning is that you want to express to your wife or significant other. Are you buying these roses as an expression of gratitude for something your loved one has done for you? Maybe you want to express your deep and intense desire to be with them. Or maybe you simply want to express how happy and joyful your life has become since they've become a part of it. Don't just buy the standard dozen with a generic pre-printed card this Valentine's Day. Put some genuine thought behind your gift and pick a rose (or bouquet of roses) with meaning behind them!